The majority of people who own a pawn shop have no idea what will walk through the entrance to their store. Literally anyone can come in with anything they want and try to get some money for it. And when we say anything, we mean anything. It could be a car stereo, a big screen TV, or a Honda Civic. Or, it could be an extremely rare coin, a musical instrument owned by a famous musician, or even a really cool and old weapon. But what is a pawn shop, and how do they work? Well, they are quite simple actually. All you need to do is imagine a bank. At the bank, whenever you need to take out a loan, you are using your credit as collateral. That means that the banks are basically just trusting you to pay back whatever loan you receive. However, let’s say that you do not have enough credit to get a loan from the bank. Or perhaps you just want everything to be done in cash so that there will be no paper trail. How do you get money? This is where a pawn shop comes in. A pawn shop will give you a loan based on a certain item you bring in. So, if you can’t get a loan, you can give them your car speakers, and they will give you cash. You then have a certain amount of time to pay them back (plus interest) before you can get your item back. Pay on time, you get it back. Pay late, they keep it. Or you can simply sell stuff to them for cash. Gold and Silver Pawn in Las Vegas specializes in dealing with weird, interesting, and historical items that people try to pawn. Here are a few of the most interesting ones. Roger Penske is the head of a whole lot of companies with his name on it. You may have seen Penske moving trucks, heard about the Penske IndyCar team, or perhaps have seen him and his NASCAR team. 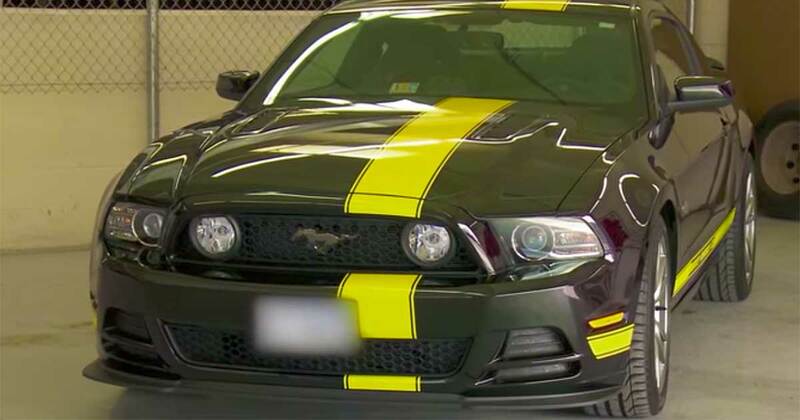 Whatever the case, what you may not know is that Penske Automotive and Hertz partnered up in 2013 in order to create 150 mustangs. Someone brought in one of these beauties for Rick, and he jumped at the chance to buy it for $60,000. One day a man was at a garage sale when he saw a cool war medallion and bought it for less than a dollar. 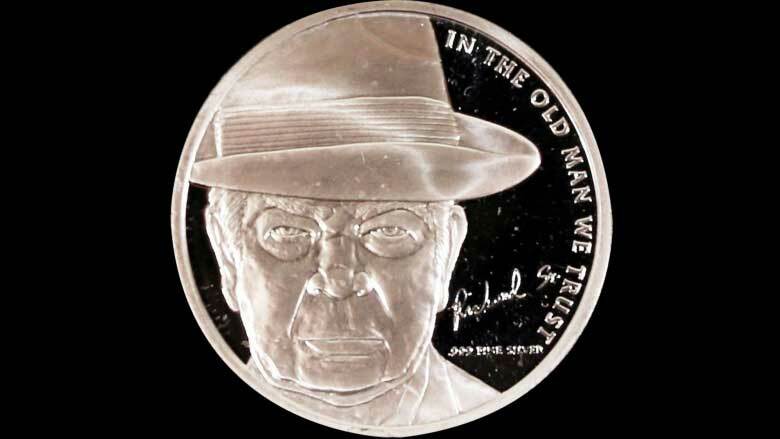 Thinking he could get a cool, quick buck for it, he took the medal to the Gold and Silver Pawn Shop where the guys were in shock. They immediately bought the medallion for $6,000. 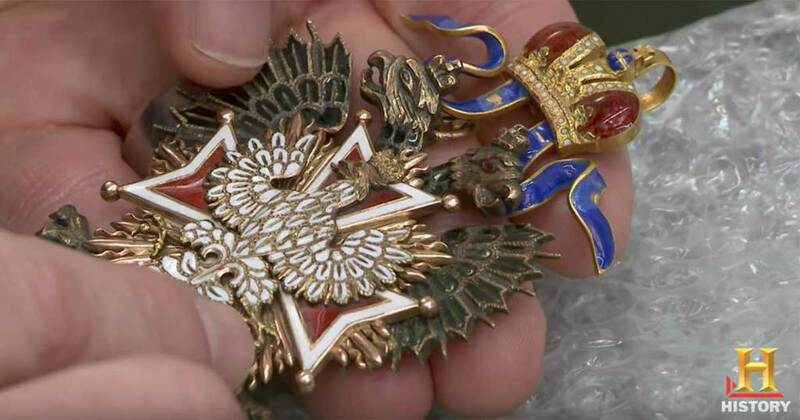 It turns out it was a Polish Order of the White Eagle Medallion from the 1700s. The guys sold the medal for $30,000. A woman was in possession of an old bell and she wanted to get rid of it. She was thinking of just giving it or throwing it away, but she liked the engravings on it so she decided to see what it was worth. She knew that the guys down at Gold and Silver Pawn would be able to help her appraise the item. As it turns out, the bell was from a ship which was built in 1602, a mere 110 years after Columbus sailed the ocean blue. This is a Spanish gold peso, and they are extremely rare and valuable. In fact, they were the basis upon which the world economy operated. However, when a woman named Jody was going through some old stuff and found the coin, she had no idea of its historical importance. 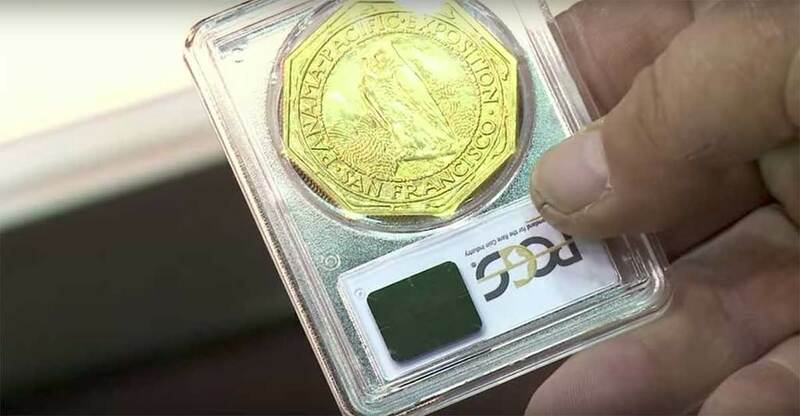 Knowing it had some value, she went to the guys at Gold and Silver pawn to have it appraised, and discovered that the coin was from 1715, minted in Peru, and worth $18,000. One day a man walked into Gold and Silver Pawn with a guitar. Now, guitars are usually pawned off, and it is not unusual to see them in shops across the country. However, this guitar was different, and much more valuable. That is because this guitar belonged to a man by the name of Vick Flick. Never heard of him? Neither had we. But it turns out that he used this guitar to make the famous James Bond guitar riff. 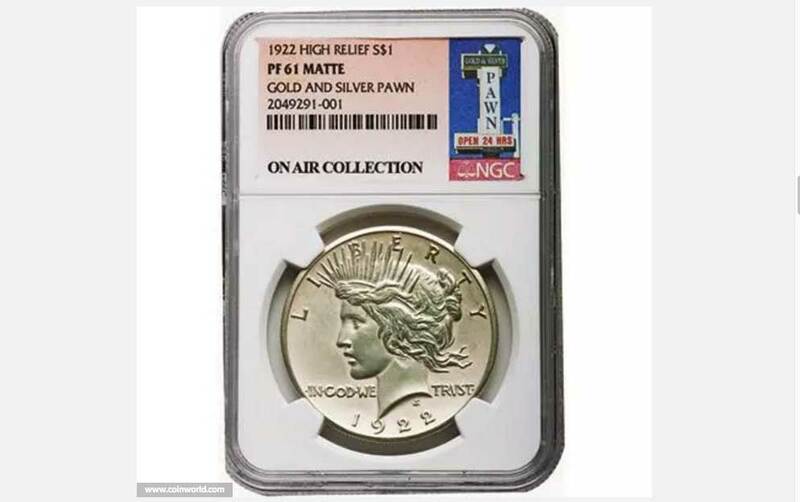 Many times the person who is going into the Gold and Silver Pawn Shop is not quite sure what they are selling, but they know that it has some either historical or monetary value. 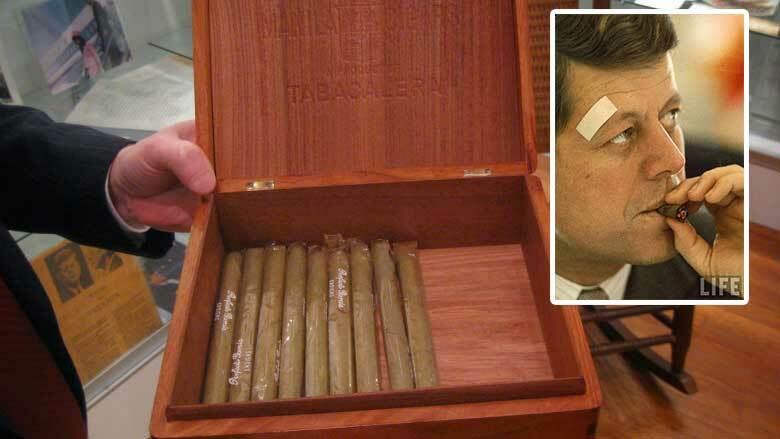 This was the case when a man walked into the shop with a humidor owned by John F. Kennedy. After originally asking for $95,000, Rick, the owner of Gold and Silver, bargained him down to $60,000. Rick then auctioned it for $575,000. Sometimes the people have no idea what they have nor whether or not it is historical. They just think it is nice and worth a pretty penny. This includes a woman who came in with a bunch of photogravures. Photogravures are images which are etched first into a copper plate then painted with ink and gelatin. 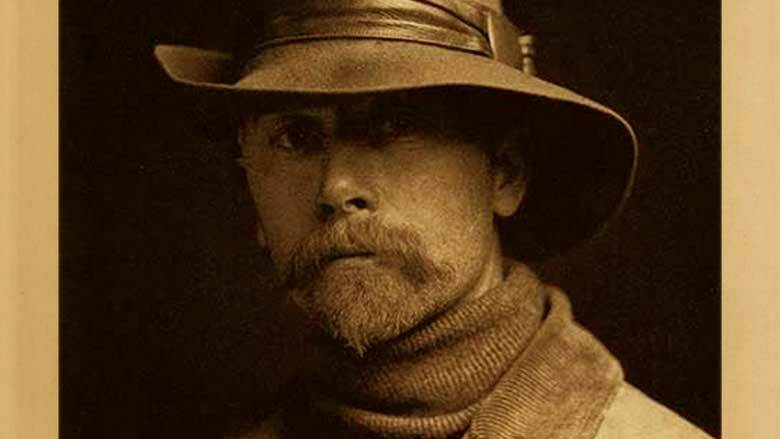 The woman sold the Photogravures for $50, but then Rick discovered that they were from a man named Edward Curtis. Rick then sold them for $20,000. Jumpin’ Joe Green was an American olympic athlete who competed in the long jump competition in the 1992 Olympic Games in Barcelona as well as the 1996 Summer Olympics held in Atlanta in 1996. It was at these two games that he won two bronze olympic medals. 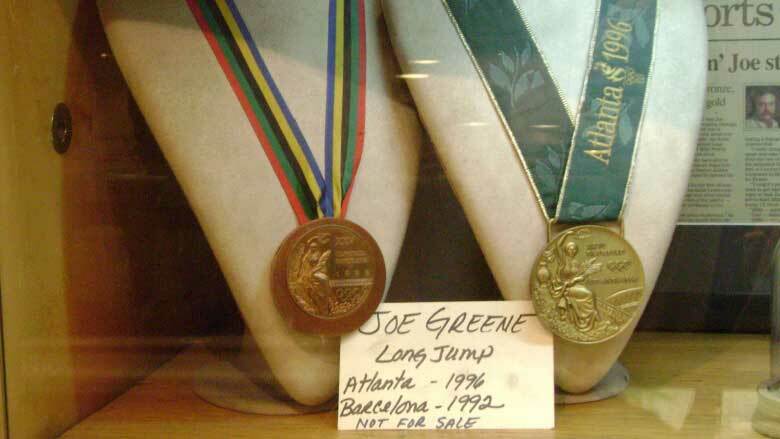 Falling on hard times, Greene decided to sell the medals. He sold them to rick, who promised that he would only display them and never sell them. They are worth $30,000. Sometimes people do not only come into the Gold and Silver Pawn Shop to sell – every once in awhile, they want to buy. There was a guy who offered Rick $70,000 for a rare 1915 Panama Pacific Octagonal $50 gold piece. Rick did not have one, but flew out to a rare coin auction and bought two. He ended up selling the piece to the man for $67,500. Wow, a $2,500 savings! A while back there was a man who decided that the financial markets were not worth it for him anymore and decided to buy only pure silver. And he had a lot of it – over 200 pounds worth off the stuff. It turns out that his investment grew with the price of the commodity going up. 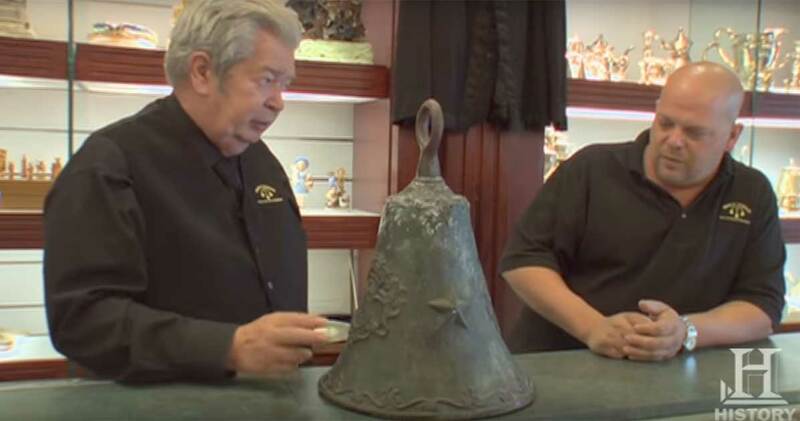 So, he decided to go and sell all of the silver for $111,00 – which was one of the biggest Pawn Stars purchases ever. The Gold and Silver Pawn Shop deals with all different items, including cars and other motor vehicles. 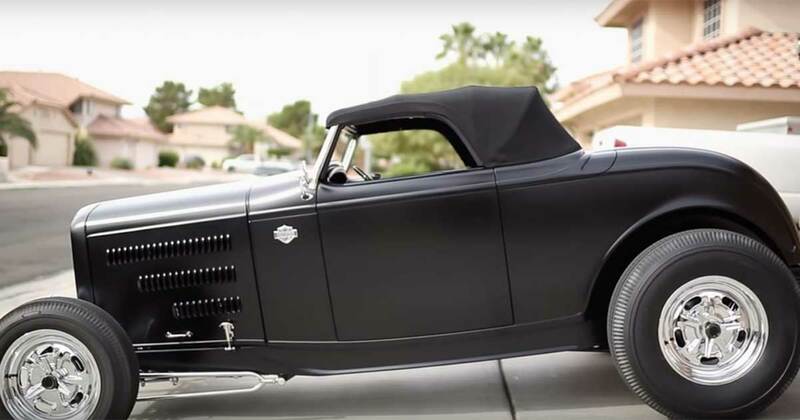 So, when a man came in trying to sell his near mint condition 1932 Custom Ford Roadster, Rick knew that he just had to buy it. The car itself had no more that 450 miles on it despite it being nearly 80 years old. After a long negotiation process, the car was sold for $68,250. This is the Book of Mormon. No, this is not the playbill or script, but an actual copy of the book. Despite being able to get them for free from any door to door missionary, this one is a fifth edition copy which was printed in 1842. It also has the distinction of being the last one printed while Mormonism’s founder Joseph Smith was still alive. 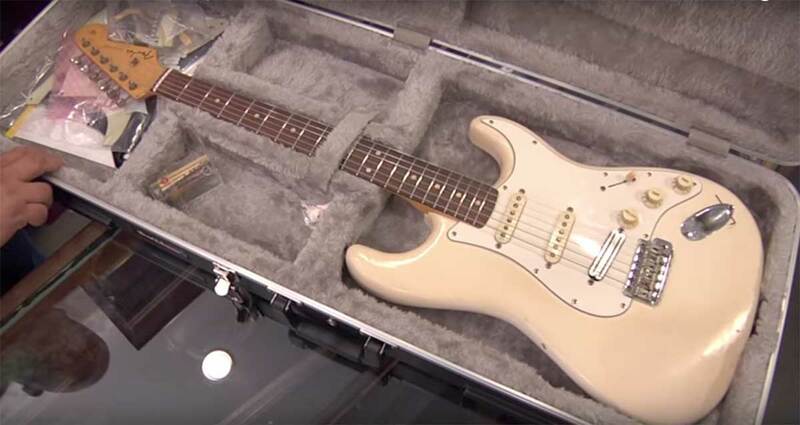 Worth $40,000, Rick was able to get it for $24,000. 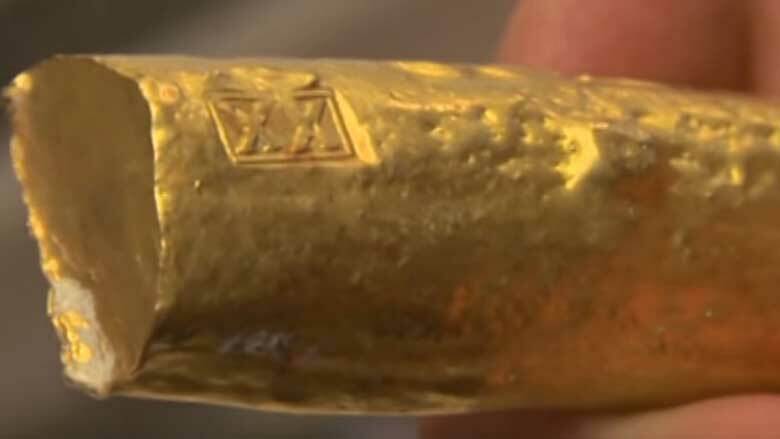 A man was cleaning out his attic one day when he came across a gold bar. The man thought it might be solid gold, and it was quite old, so why not go to the Pawn Stars to have it appraised. 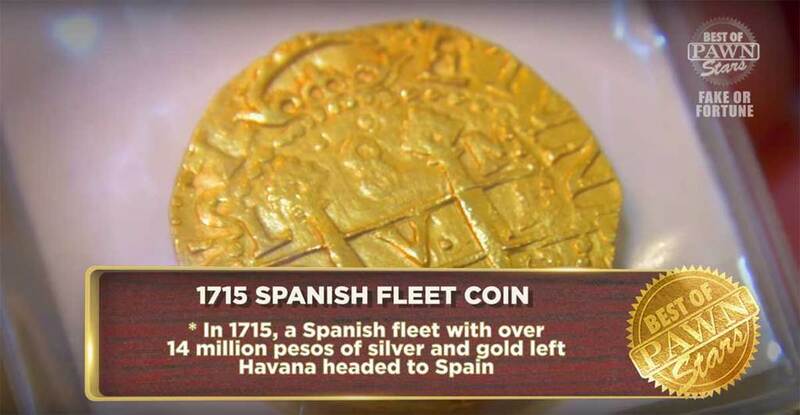 It turns out that the man had a bar of Spanish gold which was originally from a Spanish shipwreck off the coast of Texas. The gold was worth $50,000, but rick bought it for $35,000. A man who had just won a really awesome poker game wanted to sell what he had won to the guys over at Pawn Stars. It turns out that after winning, he received a 1922 Proof Peace High Relief Dollar. As it so happens, there are between 10-12 of the coins left in existence, and the coin was worth between $50,000 and $100,000. The guys bought the coin for $80,000. Back in 2002 the New England Patriots beat the St. Louis Rams to win the Super Bowl 20-17. 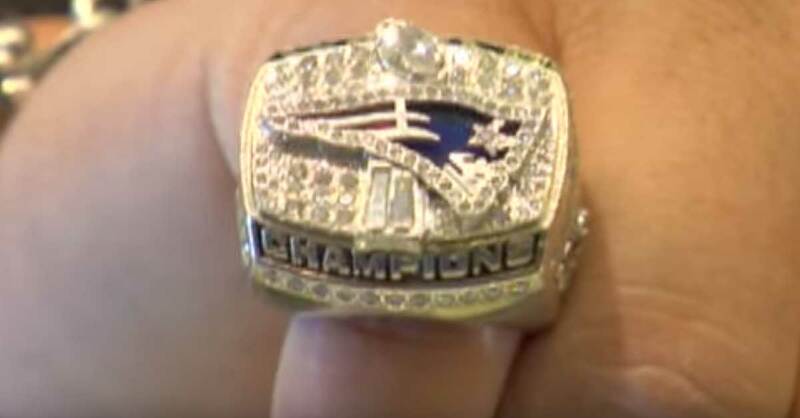 As with all Super Bowls, the winners all received diamond encrusted rings, and so did the owners and the coaches. One of these rings eventually made it to the guys on Pawn Stars. They bought the ring for $2,600, and can probably sell it for $30,000 should they find a buyer. 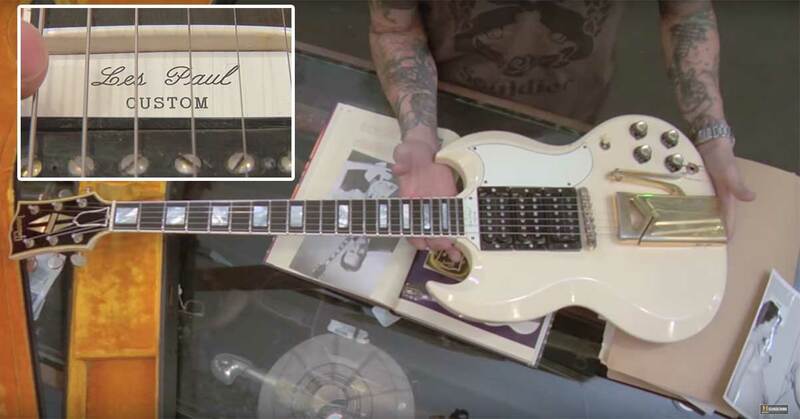 With one famous guitar on the list, it was not a surprise to see that there is another, much more famous guitar in the possession of the guys at Gold and Silver Pawn. It turns out that this acoustic guitar was owned by none other than Stephen Still of the world famous rock group Crosby, Stills & Nash. 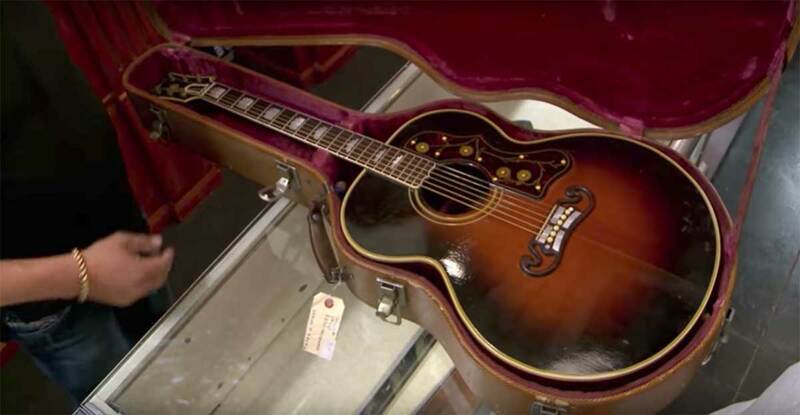 The Pawn Stars bought the guitar for $85,000. The instrument is even signed. Rick from Pawn Stars is a sucker for cars, especially the older, more classic models. 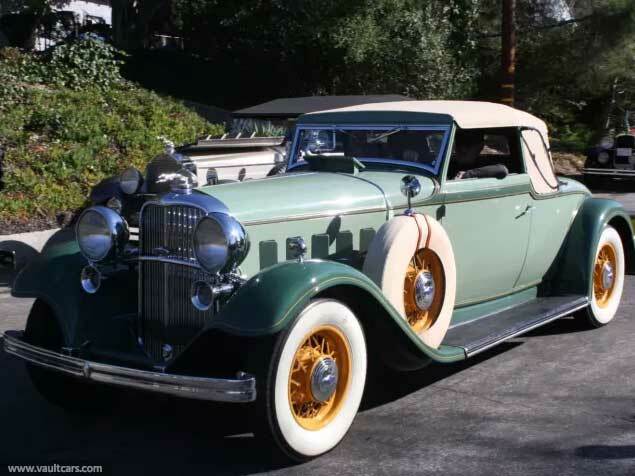 Therefore, when a man rolled up looking to sell his 1932 Roadster with its mint V-12, 150 horsepower engine, Ricke was in awe. It did not take too long for a price to be agreed upon, with Rick buying the car from the man for a cool $95,000. This guitar is also interesting, having been the main guitar of Mary Ford, the wife in the rock duo Paul and Ford. The guitar, a 1961 Gibson, was the guitar which was strummed up onstage as the duo performed and recorded their hit singles, several of which reached the top 10. The owner tried to sell it for a quarter million dollars, but Rick bargained him down to $90,000. Coming from the “roaring 1920s, this lighter is pretty cool. This was the time of pocket watches and when nearly everyone smoked tobacco. 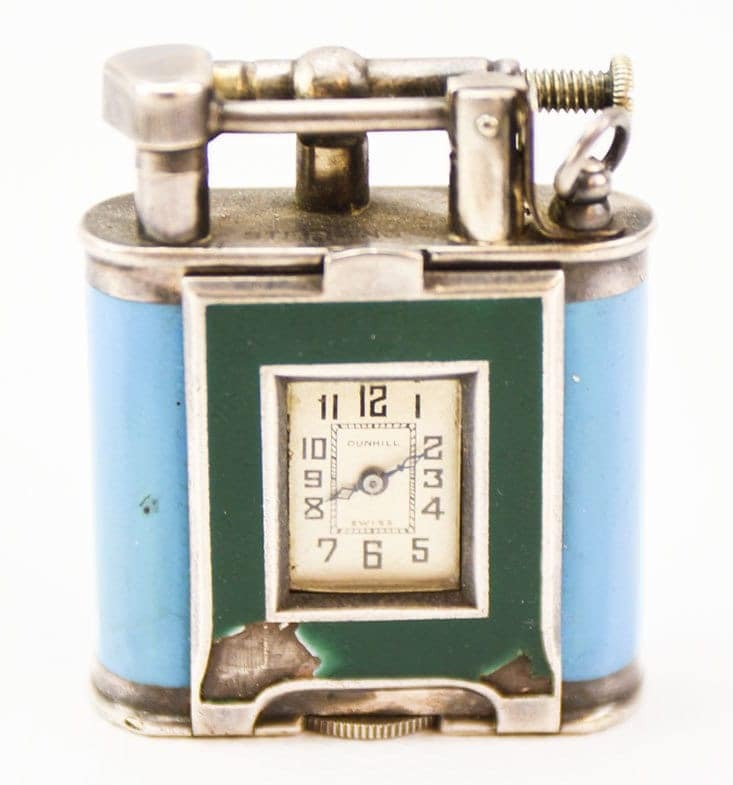 So, what a better way to combine smoking and wasting time then by having a clock right there on the lighter? The colors on the lighter are still bright and beautiful, and help to preserve the decadence of America in the 1920s. And it’s a steal at just $10,000. Sea captains in the service of the British Crown had a tough life, and injuries on the job were quite common. Perhaps that’s why so many of them lost legs and limbs. 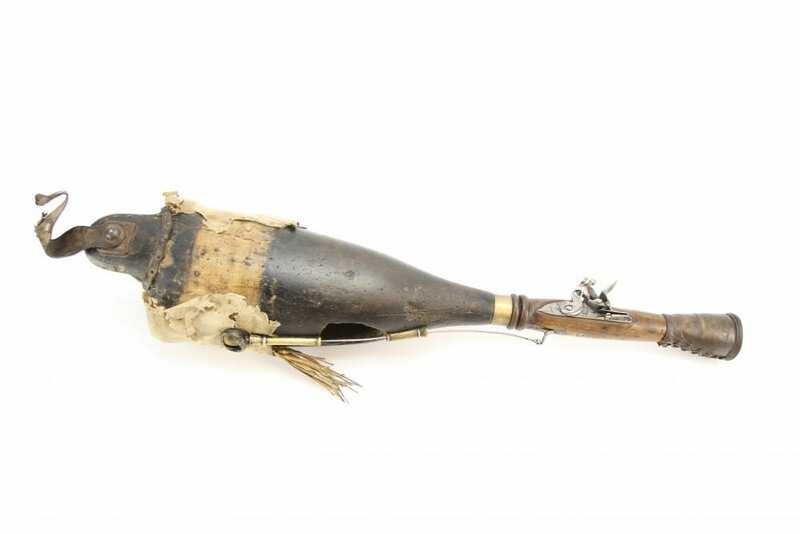 The guys at the pawn shop have a genuine peg leg with an added feature – it is able to fire a bullet. What better way to surprise an enemy than by having a rifle inside your fake leg. The asking price? $15,000. What the Pawn Stars got it down to? $9,500. World War One was a devastating war which destroyed vast swathes of Europe. It was the first time modern militaries fought each other and not just against tribesmen in Africa, Asia, or South America. During this time, there were shortages of nearly everything in all countries, and people had to ration out goods. 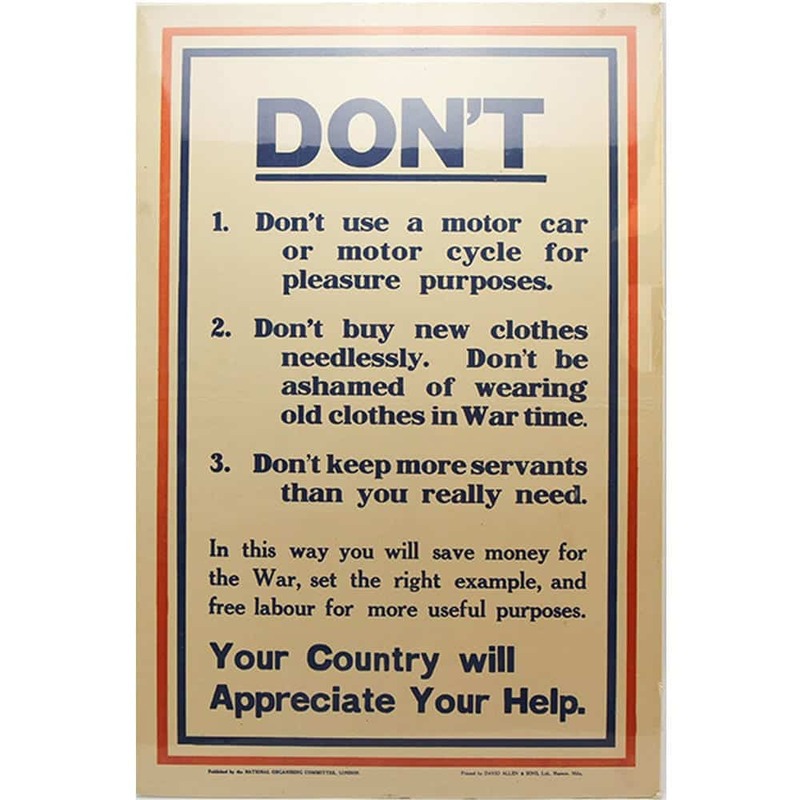 This poster from the UK was probably meant for the posher areas of society, begging them to give up butlers and new clothes for a bit. 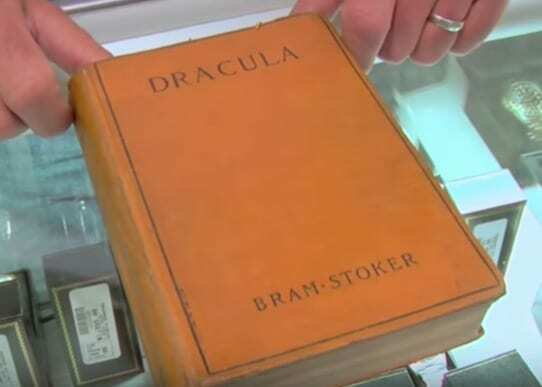 A man bought an old Dracula novel at a charity auction and was surprised to find that inside the book was Bram Stoker’s signature. Stoker is basically the king of horror fiction and essentially created the entire genre. 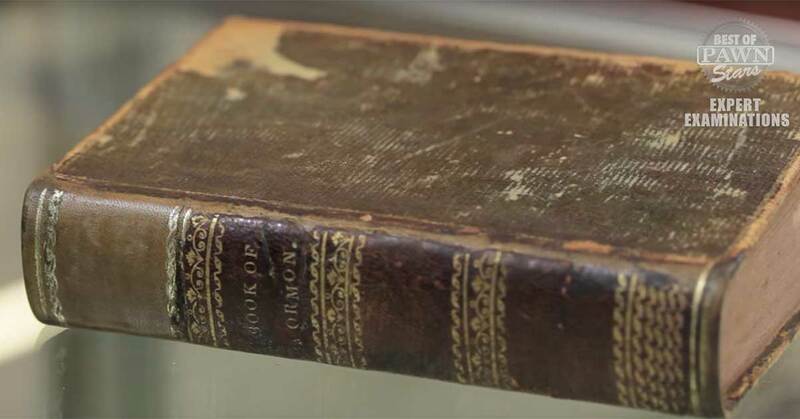 The book itself is a huge collectable and is worth upwards of $4,000, and due to the condition of the book, maybe even more. The shop bought the book for $2,350. Now this is a crazy looking thing. 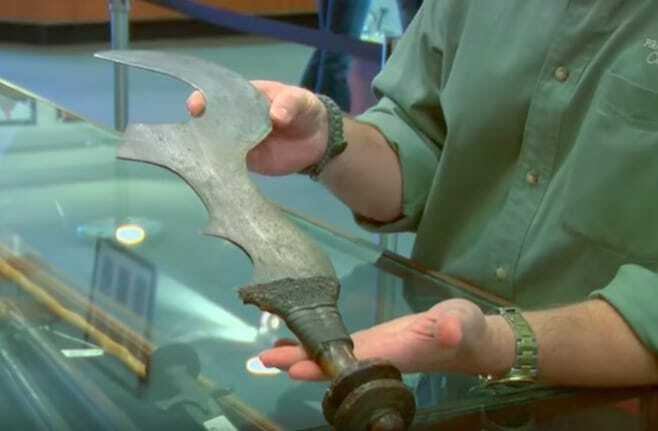 It looks entirely unlike and yet definitely is a sword. This three arches look particularly menacing. It turns out that this sword is an authentic sword which was used by a chief in the African Congo in the mid 1800s. The sword was primarily used by the chief in order to intimidate people, but was also used when corporal punishment was needed. Quite ferocious if you ask us. One day a woman came in with a very interesting rock. Inside of the rock she was holding was a pair of fossilized dinosaur eggs, specifically the duck billed dinosaur. These eggs are super valuable and, at the turn of the 20th century, were considered to be extremely rare. However, nowadays, so many have been dug up that their value has plummeted. The shop purchased these two eggs for $500 in the hopes that they could sell both for $1,200. J. Howard McGrath was the United State Attorney General from 1949 until 1952. McGrath was known for resigning rather than be subjected to a corruption investigation. 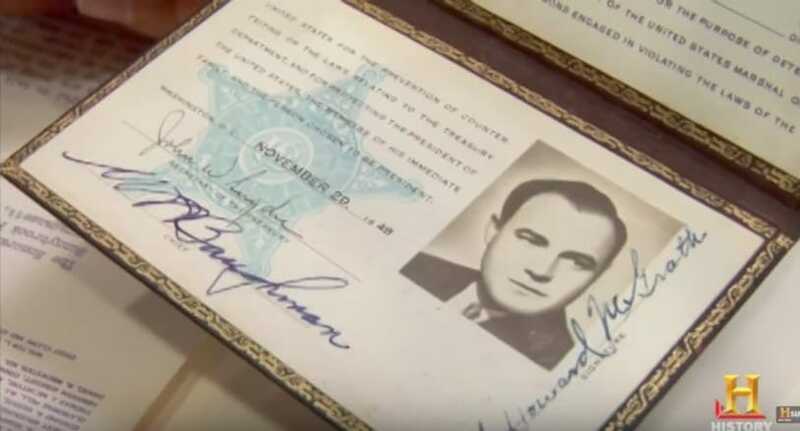 Incredibly, someone had both McGrath’s secret service identity card, as well as a half of a counterfeit bill that a bunch of his friends signed. The guys bought the ID card for $500. But the counterfeit money? Turns out it’s illegal to own it, despite the fact that it was a gag gift to the US Attorney General. The guys have a team of experts who come in to authenticate items, but one day, the gun expert had something truly unique to sell. It was a pistol owned and used by an African American officer in the Civil War – an officer who was originally from New Orleans, Louisiana. The pistol is engraved with the officer’s name and unit, and sheds light on the story of Black soldiers fighting against oppression with the Union army. The store ended up buying the gun for $6,000. In November 1971, a man wearing a trench coat, sunglasses, and a hat jumped out of an airplane on the border with Oregon and Washington with over $100,000. The man said that his name was D.B. Cooper, and he claimed to be carrying a bomb on board the 727. The bill in question was found with a small horde allegedly dumped by cooper in the woods. 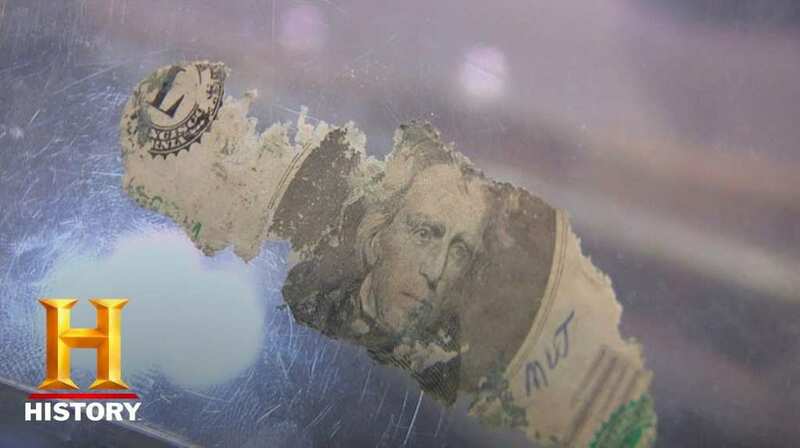 The man who was in possession of the bill fragment sold it for $1,600. Paul Revere, one of the heroes of the United States Revolutionary War, was also a silversmith by trade. In fact, it is possible to see a lot of his work in museums all around the country. After consulting with the expert, the guys at the pawn shop determined that everything about the spoon – from its patina to the engraving of the brand – was original. 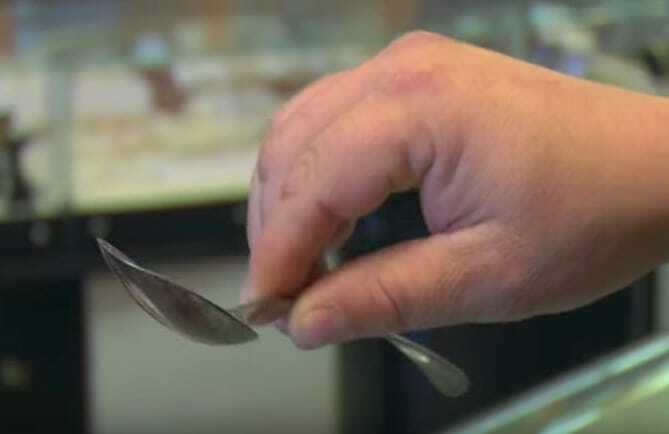 The spoon is worth between $12,000 to $18,000, but the pawn shop bought it for $9,500.